First Order of Business: What’s With The Title? The 5E model was developed by the BSCS in 1987 but has evolved over time. 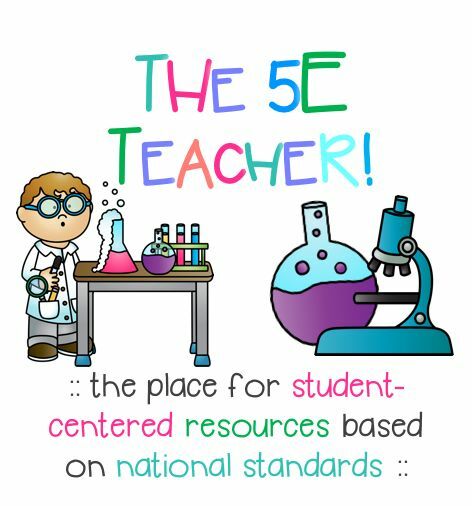 A wonderful resource for learning more about the development of this model, as well as how to implement it in your classroom, is Rodger W. Bybee’s The BSCS 5E Instructional Model: Creating Teachable Moments.” Very briefly though, the 5E model is designed to put learning in the students’ hands. They do the heavy lifting, while the role of the teacher is transformed into a facilitator. Second Order of Business: Who Am I? I am a twenty-nine year old middle school science teacher at an urban middle school that serves a diverse student body, primarily from disadvantaged households. Previously, I taught two years of Earth and Environmental Science at an urban high school, two years of 5th and 6th grade science at a small private school, and a year in 8th grade Social Studies and Language Arts in Charlotte, North Carolina. I earned my Bachelor of Arts in History and Environmental Science and a Master of Education in Curriculum and Instruction. I was selected as a recipient of the National Science Teachers Association’s 2014 Maitland P. Simmons Memorial Award for New Teachers and attended the National Conference on Science Education in Boston, Massachusetts. Later that year, I was selected by the Pennsylvania Science Teachers Association for their William B. McIlwaine Science Teaching Award and attended their conference at Penn State University. In 2015 and 2016, I won the Shell Science Lab Challenge and received a prize package of nearly $3000 worth of science supplies and professional development for myself and my school. I was selected for the Exxon Mobil Mickelson Academy for science teachers in grades 3-5, as well as the San Diego Zoo’s Conservation Education Workshop for Teachers. I presented at the NSTA’s 2016 Area Conference in Columbus, Ohio on moving from a traditional science fair to a STEM Expo, and I have taught sessions on implementing classroom procedures to improve classroom management at the Professional Learning Institute for the Erie City School District. While I am certainly no master teacher, I am doing everything I can to improve my instructional strategies, classroom management, and content knowledge, and my goal is to share that learning with you. I hope you can find something useful on these pages!